Many people appreciated the beauty of holding the funds on Bank cards. Conveniently, when it is sent wages, and you can withdraw any amount you need now. To withdraw money is not a problem, but how to put them on the map, you know it is not everything. Locate the nearest ATM. Information on their location is available on the official website of the Bank. 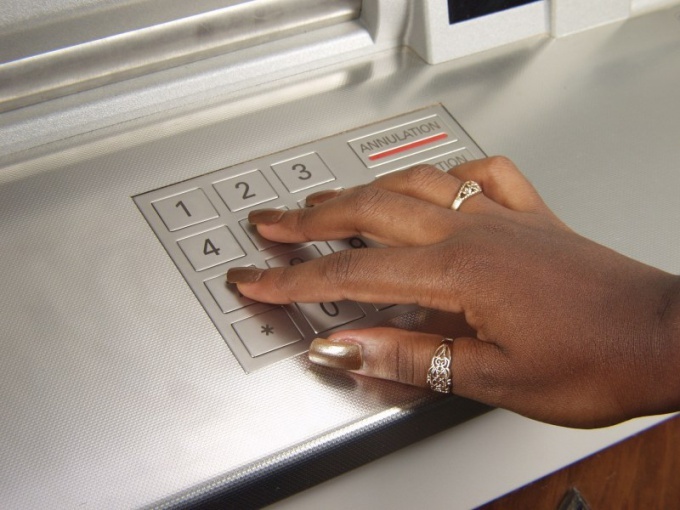 Please note that not all ATMs are equipped with a device for receiving money. Externally, this ATM is characterized by the presence of the bill acceptor, located in the right part below the list of accepted cards. Prepare the cash that you are going to put on the card in advance. This is to ensure that you do not accidentally made a mistake with the amount of credited funds. Insert the card into the ATM and enter your pin. Further, in the on-screen menu, select the section "Operations with cash". You will see two icons "cash" and "cash". Select the last one. Wait while the ATM will prepare the device for reception of cash. As soon as he does, the screen will prompt you to insert money. There will be written the way you want to insert bills. Depending on the type of ATM, this can be done in two ways: on one bill or the whole pack at a time. Wait while the ATM will count the bills. If the bill acceptor has opened and it has remained a banknote, try to put them again. Please note that not all notes accepted R. 1000 old ATMs. After the screen displays the amount you want to put on the card, click "Next". The money will be credited to the account, and you will be issued a receipt confirming the perfect operation. Use a terminalintended for the payment of utilities. Insert your card, enter the pin and select "add money to account". Please note that this ATM does not involve the issuance of money, so be very careful when replenishing his account.